The Comic Con 2012 trailer for Sonic & All-Stars Racing Transformed (a multiplatform release) does not show any gameplay footage whatsoever. Instead, the important part of the trailer comes at the very end. It is the release date for North America, November 20th, 2012. Will it be just in time for the Wii U's launch? 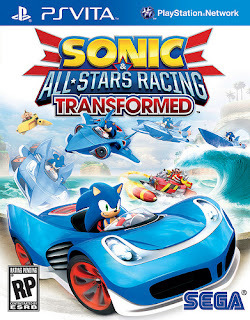 Between Sonic's racer and Sackboy's kart game, LittleBigPlanet Karting, arcade race fans have a lot to love this fall!